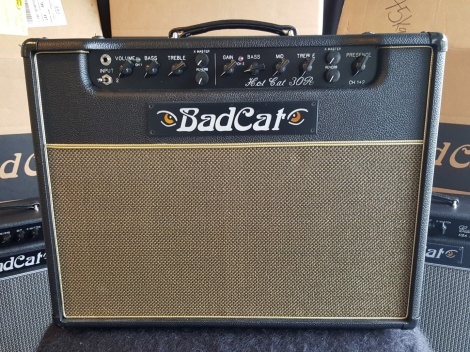 Ten years ago Bad Cat created the world's first Class A high gain amplifier the Hot Cat 30. The same year it was introduced it received the coveted Editor's Pick Award. Within a few years it had worked its way up to second position in Guitar Player Magazine's list of the "Best Combos Ever Made. 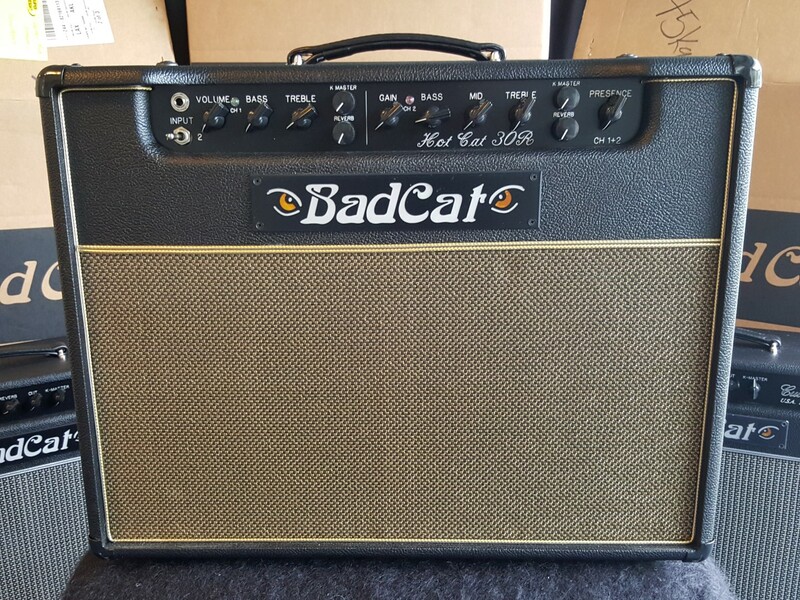 We started with the most hi-fidelity clean channel ever designed, gave it an interactive tonestack that can be tailored around anything from jangly single coils to thick humbuckers and paired it with the smoothest high gain channel imaginable. We gave this "hot" channel a sweepable mid control that allows it to produce a wide range of gain voicings. Independent K Master and reverb controls allow each channel to be set at any desirable gain and output level and the global cut control adjusts upper treble frequencies to accommodate for dark instruments or rooms. The K Master® groundbreaking analog circuitry can achieve any amount of gain at any desirable volume while keeping tone and touch response 100% intact. The K Master also allows the power tube section to achieve something never before possible. When turned beyond 2 o'clock on the dial it begins to push the power section into harmonic saturation independent of the where the preamp gain is set. Combine this function with the pre-amp set sparkling clean to achieve big clean tones that ooze with rich power tube harmonics.